The drive to design and create a beautiful, timeless landscape design is brought about by a love of nature, structure, plants, trees and movement. 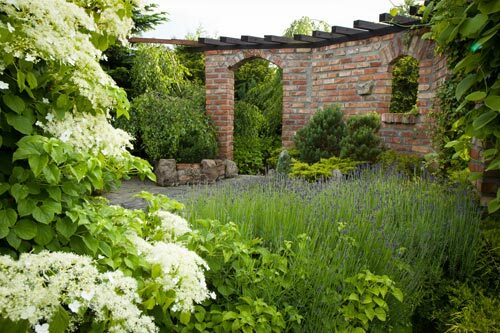 Designing gardens and landscapes is a true passion and we believe inspiration is all around us. 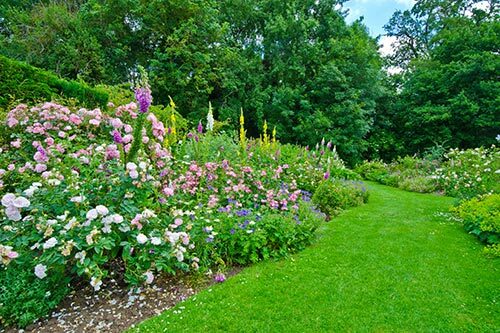 Whether it’s a simple square, round or circular landscape design, a long and thin rectangle shape or something a little more unusual, our Kent landscape design team will work with you to ensure your project meets the highest of standards. We only use the very best materials and plants on the market to offer a family landscape design or elegant focal point that will last for years. Our pro landscape design team of crafts men and women proud to offer a complete service from garden and landscape design right through to construction and installation, all of which is project managed through to completion. So, what is landscape design and why does it matter? Essentially, design is what nature is to evolution. Our styles, themes and thinking change with every passing year. Materials and innovation also change and processes improve. Design is simple and yet complex too. It’s everywhere, and our choices are reflected in the everyday items we have, or aspire to have. Design is also emotional, with good design and bad design impacting our responses, even though we all have differing ideas. Garden and landscape design incorporates all this and more by arranging each part of the garden to create a natural balance. Kent is a unique county, The Garden of England and around us there is a diverse range, style and theme of gardens and landscapes; from contemporary and modern to soft and romantic, rustic cottage gardens right through to traditional landscape design and country garden landscapes. This leads to a great range of tastes and styles where we find the inspiration to realise the dream in creating our own perfect garden. Outside landscape design and living spaces are uniquely individual to our homes and gardens. To understand landscape design, you must be passionate about gardens, creative in your thinking and believe deeply that good design leads to wonderful gardens. This is why being professional garden designers and landscape designers means we simply love what we do. Gardens; "Symphonic to Our Needs"
There are several principles when it comes to designing and landscaping. Although every Kent landscape design is different, the ingredients are always the same, just in different amounts. They include scale, balance, unity, emphasis, texture, sequence, line, form and colour, and each one is interconnected with the other to develop your garden into an additional outdoor living space. 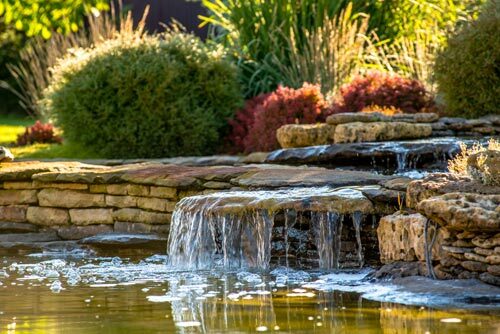 There are an infinite range of styles to choose from, and often the process of choosing a garden and landscape design style can be overwhelming. The good news is we’re here to help you by guiding and talking you through the process. Let’s start with the basic choices of landscape designing: Contemporary, Traditional, Urban or Modern, Cottage and Formal. 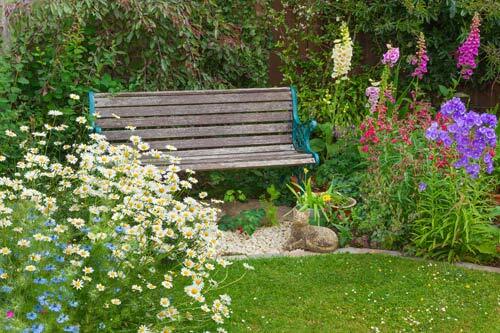 From here we can refine the choices by looking at the size of your garden and then consider how you will use the space depending on what you want from it. 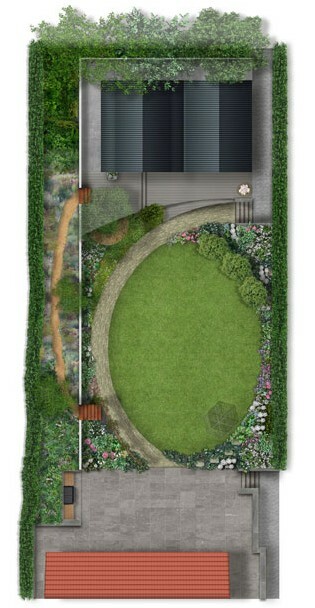 This is will include the entertaining space needed, planting you want, structure, sound, water, lawn space and so on. When it comes to design and landscape, where we ultimately start is with asking you the question, what is your style? Are you a contemporary type person who likes clean lines and interconnecting shapes? 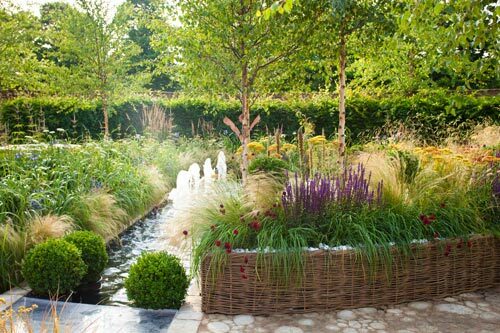 Or do you prefer a traditional English garden design and landscape with formal planting with an organic feel? If you have young children, perhaps you’re looking for a fun family landscape design to spread out. 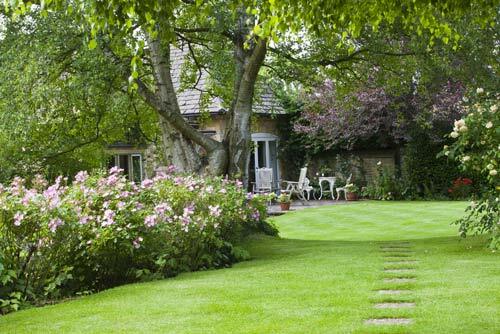 You may even prefer a cottage style garden with a wonderful carefree feel with plenty of plants, gravel paths, rectangular patterns and an abundance of colour and fragrance. The choices are endless and although they can sometimes be baffling, they do give you a fantastic chance to get really creative. We have several pages dedicated to all the popular styles with links below that represent each of the themes mentioned above. These will hopefully help you gain a better understanding of the type of garden you are looking to achieve. Our design fees start at around £1,200.00 and are often be based on 10% - 15% of the build costs. 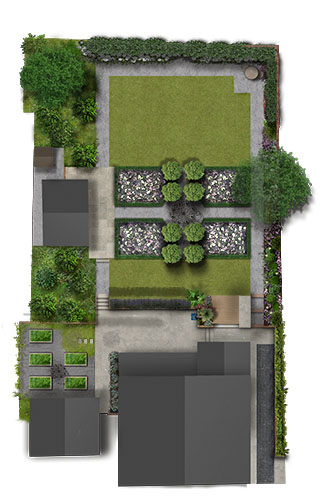 Additionally, you can recoup up to 25% of the design costs if we construct and build the garden for you. 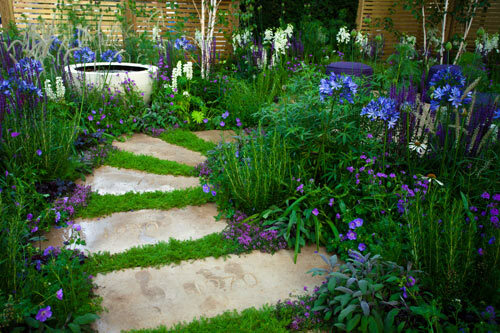 As an experienced landscape design UK company, we understand that this type of work is a serious investment. 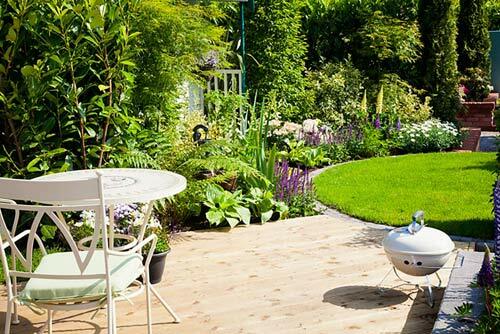 But a beautifully landscaped garden will dramatically improve the look of your home as well as your lifestyle, so we think it’s well worth it. By understanding your needs and fitting them with your budget, we can design your landscape to meet your expectations and use the best materials we can within the design and build of the garden. The design process starts with us talking to you to understand what you are looking to achieve, the styles and themes that most inspire you and what your dream garden may look like. After we have discussed the various aspects of the project and your availability, we will make a free consultation appointment with one of our senior designers. This is the point where we visit your garden, look at the current layout and consider the aspects and the ideas we’ve discussed. We will offer some inspiration and look at other potential ideas that have perhaps been overlooked and help give you a visualisation of what can be achieved too. Taking detailed notes and extensive pictures will help develop our proposals and by taking a survey of the garden we can make sure our ideas are to scale. The landscape designer survey takes into consideration existing trees and plants, boundaries, structures and most important, height variations. After that, will then put together a detailed designer landscape proposal that features one or two augmented reality concepts. This is where we use a real photo of the garden and overlay some design imagery to give you a taste of what can be achieved. Within our proposals we will set out the investment expectation, theme, the interpretation, landscape and planting strategies. We will also put together with a detailed mood board of images that convey the various thoughts, ideas and inspiration behind the design. Our fee structures are based on the amount of time the design will take, together with the survey costs. Once you have received our proposals and hopefully decided to proceed, we then set our creative team of landscape designers to work ! If you enjoy entertaining in your garden, then you why not consider a fantastic external sound system for beautiful music to soothe you after a long day or for a fun family gathering. You’ll enjoy breath-taking sound quality that adds a new dimension to your entertaining area creating ambience and atmosphere that will be the envy of all your friends. Plus, turning your garden into an entertainer’s paradise with a sound system specially designed for the outside is actually not as expensive as you may think. Your beautiful landscape design will be a significant investment, so make the most of every aspect and discover how your outdoor space can be transformed at night. 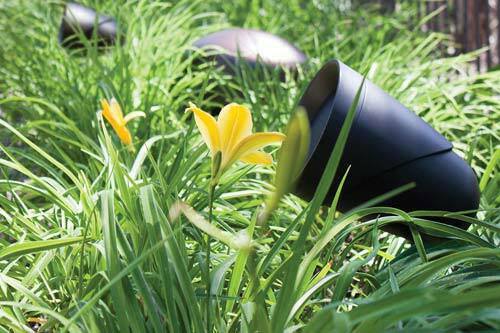 Perfect for adding a Mediterranean landscape design to any outdoor space, lighting choices are wide ranging with the use of spotlights, up/down-lighters, and step-lights, both recessed and submerged. 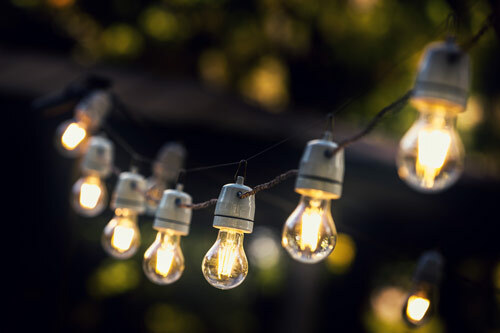 Your garden can be changed dramatically at night which will add an entirely new perspective and personality with additional focal points not seen during the day. 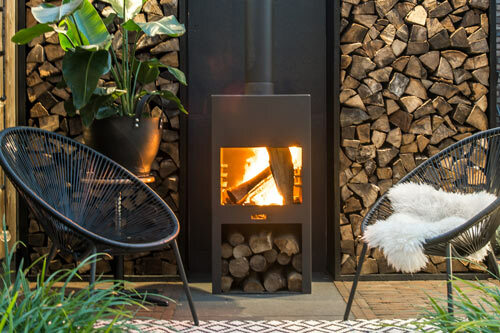 Enjoy your landscape design all year round with a fire burning in a specially designed fire pit, or even an outside fireplace for the ultimate in stylish appeal and practicality. Bring romance and warmth on those nippy summer evenings or even for an autumn or winter gathering outside. 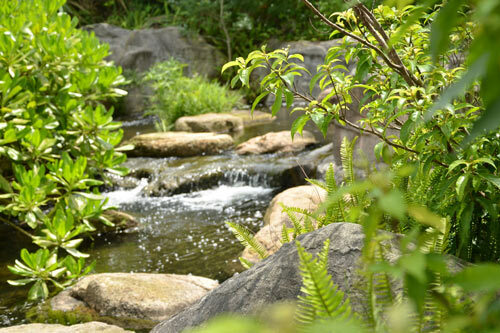 Running water is very sensual and relaxing to listen to, whether it’s a pond, waterfall or modern water feature. The sound of water on a hot sunny day can also create a cool ambience within your garden, whilst attracting beautiful wildlife too. 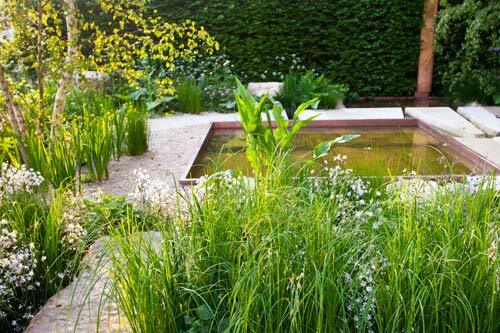 Water is a fundamental part of our environment and adding something like a small water feature can really bring your garden to life. Gardens are about senses, sight, sound, touch, taste and smell and every garden should designed to embrace each one of these elements. 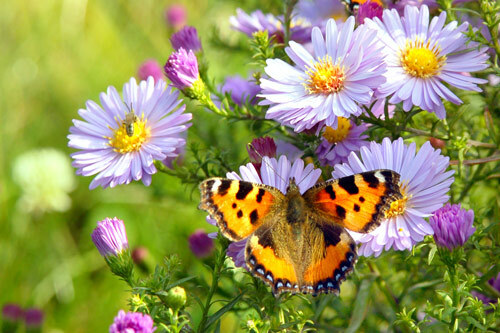 By stimulating each one of the five senses, gardens also provide therapy for a wide range of conditions. Sufferers of dementia experience reduced anxiety in a garden with sensory themes by stimulating the lymphatic system within the brain. 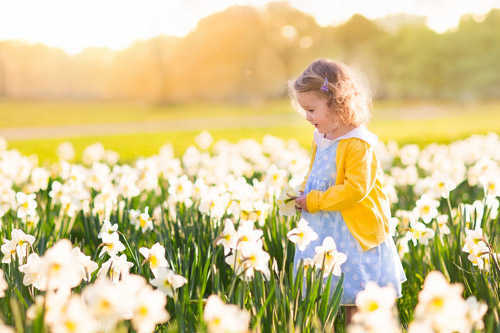 This can be achieved through smelling flowers, seeing vivid colours, sounds such as water, birds and bees, and through touching different textures. 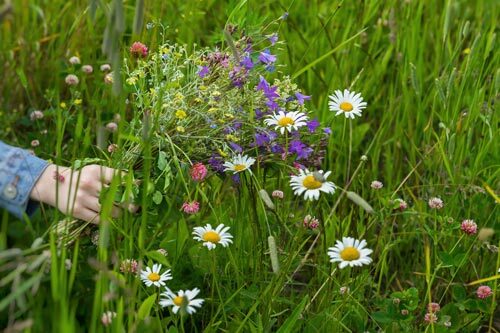 Sensory gardens are hugely beneficial to people with a wide range of needs such as sufferers of ADHD, ODD, dementia, brain trauma, Autism and the elderly as well as many others besides. Ready to start planning the outdoor space of your dreams? Designing landscape is what we do. Simply complete our contact form so we can understand a little more about what you are looking to achieve and to arrange your FREE one hour consultation. After the initial consultation we will produce some landscape and design proposals, which includes images relating to your style, needs and investment expectation. Within our design fee we also include a full site survey and topography survey if required, which sets out the scale and potential scope for the garden design. This is then plotted into AutoCAD as our outline for the design and time will be spent sketching out ideas through inspired images and the design brief.